Für 2016 entsteht bei Wuxi ein weiterer Park der Wanda Gruppe, der in der RCDB als "Wanda City" gelistet ist. (Nicht zu verwechseln mit "Wanda City Theme Park", der bei Nanchang entsteht). vhcoasters.com Over the past year or so Wanda have been dealing out bits of information on the ride lines ups for each new park they are building. 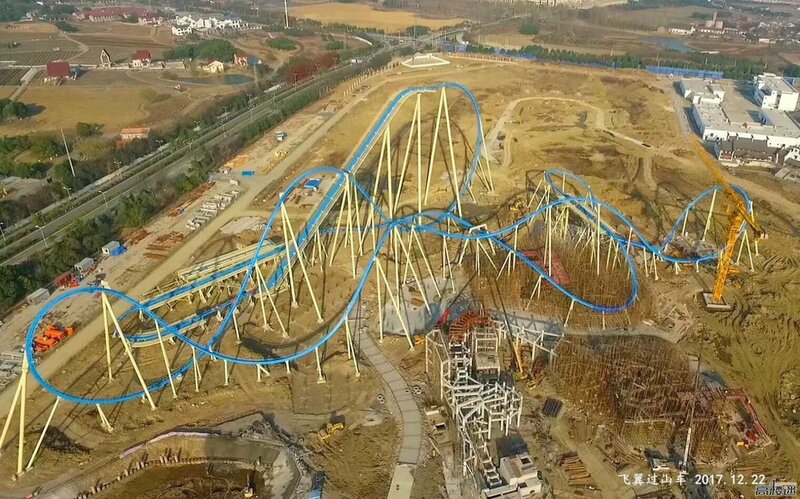 Currently Wuxi’s new park is a bit of a mystery but Wanda have just announced the plan to build the worlds tallest Wing Coaster. No mention of the manufacturer but with the attached concept image you’ve got to go with B&M as a guess really. The article also seems to hint at the name Hawk for the ride and shows some good themeing around the track. Certainly one to be keeping an eye on over the coming year. Wurde wie der gesamte Park auf 2017 verschoben. Wird damit der höchste und schnellste B&M Winger. Eröffnung ist für den Juni 2019 geplant. Bitte einmal das Jahr in der Überschrift anpassen.